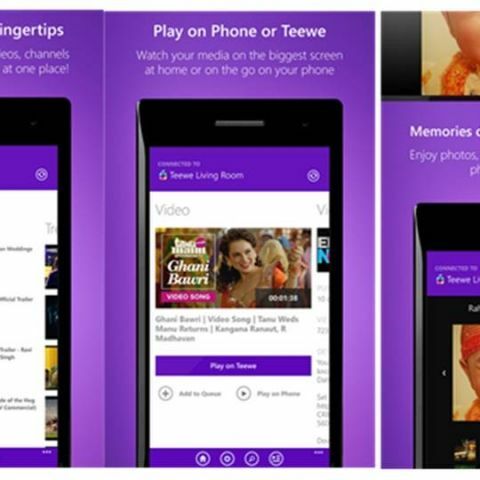 Now Windows Phone users can stream their media content on their phone, tablet and PC through the new Teewe app. Mango Man, the makers of the recently launched Teewe 2, have announced the launch of Teewe app for Windows. The new Teewe app allows Windows users to stream their media content on their phone, tablet and PC. According to the company, the new app has already received over 7,000 downloads and features on the Windows store with an average rating of 4.5 stars. Mango Man had launched Teewe 2 HDMI media streaming dongle at Rs 2,399. The Teewe 2 can be used to stream videos, music and photos from the smartphone, PC or tablet to the big screen. The dongle comes with an HDMI port that connects directly to any TV/projector. which is the cheapest windows phone?